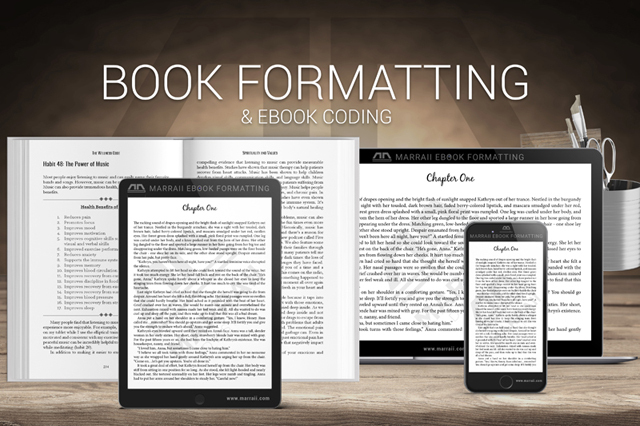 Marraii Design will hand-code your book into popular ebook formats such as epub and mobi-for-kindle for as low as $5 for 25.000 words. No automatic conversion—pure hand-coded epub/mobi! Marraii Design will format your MS Word for flawless conversion on Smashwords or Amazon KDP. Over 4000 5-star reviews and 100% success rate! Marraii Design will format your book as print-ready PDF for direct upload to CreateSpace, IngramSpark, LightningSource, or other print-on-demand services. Join thousands of happy customers that hired Marraii to do a beautifully hand-crafted layout for their books. Send your existing 2D front cover for the series, and Marraii Design will convert it into a beautiful 3D BOXED SET of your choice. There are three types of boxed sets to choose from: individual books placed in a hard-box, soft-box, or no box at all (so called thin-box). 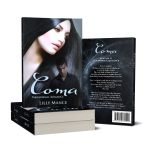 Marraii Design offers custom book cover design for print, custom ebook cover design, and preparing existing covers for print. Whether a book is already published, or near publication, you need to promote it to let the world know it's out there. Marraii Design offers several book promo images that you can use in your book promotion campaigns, on your blog, website, social media, video, etc. Marraii Design offers book authors straight-to-the-point, 30 seconds long video, that prominently features your book, and the most crucial data a reader needs to generate interest in your book. When your book looks rather amateurish, it influences readers in a way you never intended to. Even though some try to ignore poor formatting, and focus on the story, their subconscious often can’t do the same—it gets agitated. Formatting inconsistencies hijack attention, making people hyperaware of every typo, missing quote, and forgotten comma—ultimately fragmenting their reading process as if thorns were poking them in the eyes. After such an awful reading experience, of course, they might be less forgiving about typos, and harsher in writing reviews. When your book looks professional, the reader can relax, and dedicate full attention to the story. Professional layout provides good reading experience across multiple devices, and doesn't interfere with the reading process. Rhythmic exchange of consistent paragraph styles, stylistic elements, and white space, speak to the subconscious in a positive way, complementing the story instead of hijacking it. After an enjoyable reading experience, the reader might be more inclined to forgive a few typos, and leave a more favorable review.